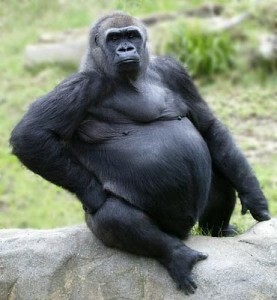 Choosing to be a Physician is a lot like inviting an 800 pound gorilla to be a permanent house guest. Gorillas are big, take up a lot of space, eat all your food and are not house trained … so there are messes to clean up every week. Work Life Balance can go out the window very quickly. The Career that was supposed to give you a great life … quickly becomes the entire focus of your life … and physician Burnout starts nipping at your heels. Just like a gorilla can be trained to perform amazing acts of patience and skill … your career can also be corralled and tamed. It takes the deliberate use of just one word. Saying “NO” in the right ways at the right times and in the right amounts is how you “Tame the Gorilla” and restore meaningful work life balance. Saying “NO” so that Gorilla will listen is a Three Step Process. The patient cannot always come first. That is a recipe for burnout. 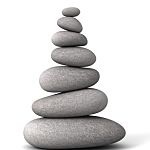 Life Balance for physicians can only happen when you say “YES” to the most important things in your life OUTSIDE OF YOUR CAREER - before you do anything else. Whenever you are not with patients, Work Life Balance depends putting your Life First. You can’t just give it lip service here. Your actions have to match your words. Remember, we are dealing with a 800 pound Gorilla … he doesn’t care what you SAY. He wants to know what you are going to DO to keep him under control. He needs firm boundaries or he will just muscle the rest of your life to the side and take whatever he wants. When that happens, any pretense at work life balance goes out the window. What relationships, experiences, hobbies, personal care activities? Make a list of the ones that are really important to you. Write them down and keep this list handy. These are the things you want to keep the Gorilla from messing up or crowding out. Make your work life balance list now … I hear the Gorilla rummaging around out in the kitchen … you never know when he will walk in and try to take over again. PUT THEM ON YOUR CALENDAR – NOW ! Look out several months and write in your non-work priorities on your calendar. Imagine you are setting them in stone. before the Gorilla comes back !! That darn Gorilla is going to run all over you. Why? Because your schedule is empty. The Gorilla makes the normal assumption you have nothing else better to do. Here’s the tragedy. Your spouse, your kids and your health don’t like that gorilla any more than you do. When they don’t get a spot on your calendar … they begin to feel they are not a priority. They don’t really care or notice what you say either. Do they have face time blocked off in your calendar or not? No calendar time = no work life balance. Here’s the challenge. Don’t stop reading this article … just because you understand it – you “get” this concept. That would be a huge missed opportunity. If you are in need of more work life balance and your family and health in need of some attention, grab your pen and calendar NOW and take the action you must take to defend yourself from that marauding ape! When you schedule your Important Non-Work Activities on your calendar First … here’s when you can use “NO” to build work life balance with some grace. You can say “NO” with a smile on your face. Please leave a comment below. What’s on Your Work Life Balance list today ?